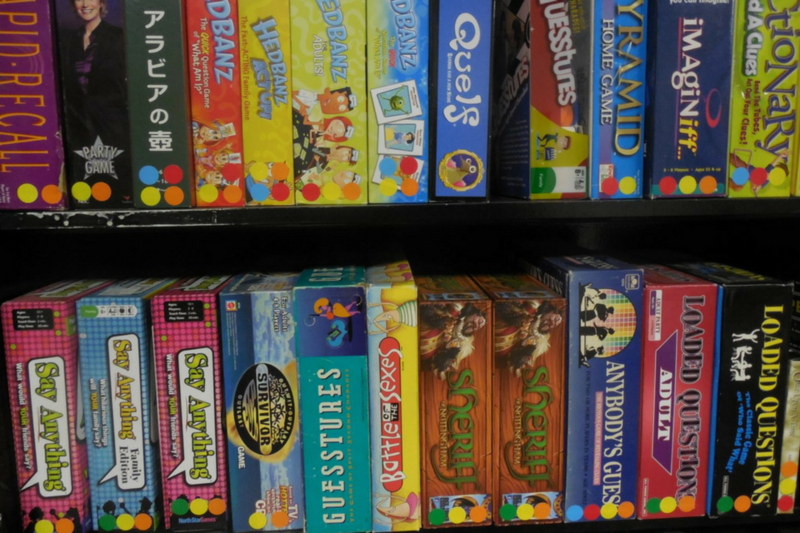 Board games are a classic, yet constantly evolving, form of entertainment that are enjoyed by individuals of all ages. These games span many genres, from childhood favorites such as Apples to Apples and Monopoly, to edgy innovations like Dirty Minds and Cards Against Humanity. Boards and Brews, a soon-to-be-open board game cafe and bar, celebrates the humble board game as a means of bringing people together. Located on Elm Street in downtown Manchester, Boards and Brews is the brainchild of Keating Tufts, a SNHU alumnus with an affinity for Board Games. Tufts felt that there was a deficit in unique sources of entertainment in Manchester beyond restaurants and bars. “I wanted to create something different downtown… I stumbled into [Board Games] and I saw what they were able to do in bringing people together,” said Tufts. In recent years, board game cafés have become very popular in major cities across the globe. “They started overseas in Asia. 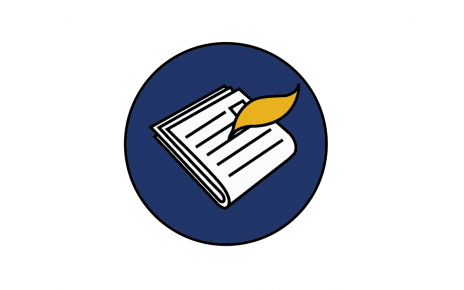 [South] Korea had a few, then they opened one in Canada,” said Tufts. This café, called Snakes and Lattes, opened in Toronto in 2010 and ignited the expansion of this unique variety of entertainment. Despite their ever-growing popularity, board game cafés remain off-the-radar for many people, but Tufts is looking to change that. “When you walk in, you’ll get greeted at the door, we’ll find you a table, we’ll explain the setup… you can order drinks and food, and we’ll also suggest a game and teach it to you,” said Tufts. 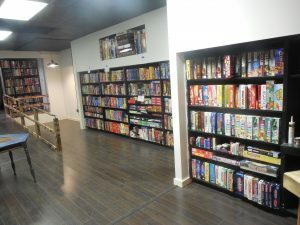 People are also welcome to pick and choose games themselves, although that may be difficult, considering that the café’s collection features 946 games spanning many genres and skill levels. “I’ve probably played around half,” said Tufts. Looking for some sustenance to fuel a night of gaming? Boards and Brews provides a casual menu lined with sandwiches, salads and snacks. Additionally, a full bar featuring craft beer, wine and game-themed cocktails is available for those of age. In March, Keating attended the annual Granite Game Summit in Nashua where he held an event and spread the word about his new business. Boards and Brews will cater to large groups through their private room, which holds up to twelve people and can be reserved in advance. The grand opening is set to take place in mid to late-April. The café will be open seven days a week, from 11 a.m. to 11 p.m. on weekdays and 11 a.m. to 2 a.m. on weekends. There will be a 5 dollar entry fee to play the games. Boards and Brews will provide a venue where individuals of all ages can come together and celebrate gaming. Updates regarding the opening date are available through boardsandbrewsnh.com and the café’s Facebook page.